Indigenous Knowledge Databases: Is It Something To Be Concerned About? Almost all information today ends up in a database. It is organised and made readily accessible. While it sounds positive, for indigenous communities, it can be crucial. Databases of their knowledge, culture and genetic resources, if misused, can undermine generations of community effort and maybe even their sustainability. 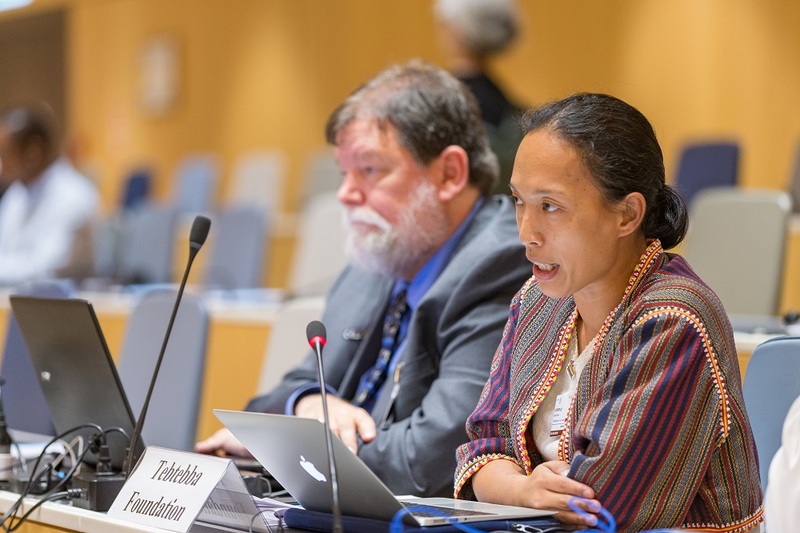 A panel of indigenous peoples’ representatives presented their concerns about databases this week to governments attending a World Intellectual Property Organization meeting on genetic resources. The discussion in the Indigenous Panel at the 36th round of the Intergovernmental Committee at WIPO, held between 25th and 29th of June, centered on the collection of material for, administration and use of databases and contracts. The Tebtebba Foundation, a Philippines-based NGO focusing on policies affecting indigenous people, outlined concerns that shaped the course of the discussion. The primary apprehension was that of theft and misappropriation of traditional knowledge and genetic resources. The organization hoped that the disclosure of origin requirements would apply not just to patents but a broader range of IP rights. However, in the plenary discussion this morning, a representative of the Tebtebba people said in the context of the discussion on draft Article 4.1 that they are willing to lend cautious support in the spirit of compromise and have it limited to patents only. They acknowledged that their position had shifted a bit. In this context, certain speakers also raised the issue of who owns the copyright over publications of traditional knowledge opining that it ought to vest with the communities. The next issue raised was that of knowledge in the public domain. The Tebtebba representative asserted that indigenous communities should retain the right of ownership to their knowledge even after publication, which should not be considered in the public domain. Another recurring theme was that of consent to publishing their information on databases. As this is community knowledge, the rights over it are collective. Getting free, prior and informed consent from the community was something that all participants found essential. First on the panel was a representative from the Native American Rights Fund (NARF), which primarily represents the concerns of the indigenous population of North America. Sue Noe, NARF’s presenter, stated that “we are all in this together” and elaborated on some of the concerns raised by Tebtebba Foundation. Drawing from Article 31 of the UN Declaration on the Rights of Indigenous Peoples, she focused on the state’s obligation to recognise and protect the exercise of indigenous peoples’ rights to control, protect and develop their cultural heritage. Accordingly, she highlighted that one of NARF’s objectives is to ensure the US government keeps its promises made to the Native American tribes. The organisation worked with over 250 tribes and 31 American states. The indigenous communities in North America are highly organized as seen in the case of the National Congress of American Indians, which is the largest effort with North American and Alaska natives in the US having a “unified voice”, she said. They worked on the negotiation and implementation of the UN Declaration on the rights of indigenous peoples, she said. However, it is to be noted that the United States remains one of the handful of countries that voted against the UN Declaration. 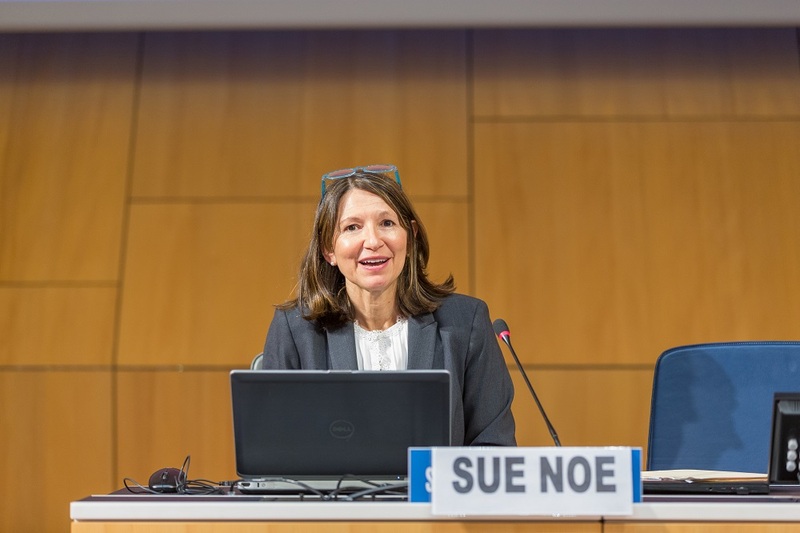 Noe focused on infrastructure and practical tools in policy legislation, and emphasised that infrastructure, including databases and other information sources, do not by themselves protect indigenous IP rights. The danger, she found, is if databases are not done properly and are not backed by positive laws recognising the rights of indigenous people. The ready accessibility of this information without sufficient safeguards makes it more vulnerable to misuse. Databases, according to NARF, should complement the implementation of laws and policy. Noe underlined that contracts, guidelines and protocols are a part of practical tools. Other points she made include: She elucidated how these tools define relationships, control activities and fill gaps in the existing IP regime. Two main contractual issues are the imbalance of bargaining power and enforceability. Accordingly, principles that should inform policymaking with respect to databases include taking into account their customary laws and protocols. It should ensure that no harm is done. The right to access, remove and correct inappropriately sourced and confidential information or sacred objects should vest with the indigenous communities. The second panellist was Aleksey Tsykarev, an independent expert and a representative of the indigenous peoples from the Soviet Union (former) and east Europe. He emphasised on the right of indigenous peoples to self-determination or consent to share their information for indexing on databases. According to Tsykarev, communities remain sceptical about what these databases will be used for. However, one aspect where databases could be engaging and instrumental is that of protecting indigenous language and culture, he said, adding that he hopes the databases would operate in the mother tongue of the indigenous communities, as it was the key through which they accessed their traditional knowledge. As per a study conducted by the Moldova National University, there is a shortage of access to databases through indigenous languages, he noted. Similarly, a meeting at the University of Helsinki in November focused on protection of cultural heritage, and this included guaranteeing indigenous peoples access to information on databases on equal footing as others. Tsykarev emphasised that indigenous communities should be made aware of the rights and advantages they have with respect their traditional knowledge, paving the way for effective relationships with them and facilitating free prior and informed consent. Another issue faced in Russia and Eastern Europe is competing organisations making it difficult to decide who speaks officially on behalf of a certain community. 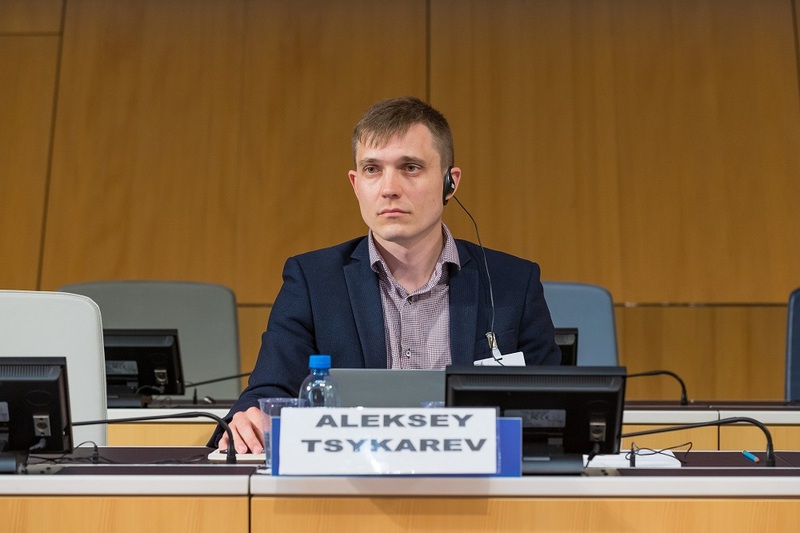 Like Noe, Tsykarev reiterated the right of indigenous peoples to have information that was not properly obtained or documented incorrectly be removed or changed. Lastly, interested parties were invited to a panel discussion at the 11th Session of expert mechanism on cultural heritage, indigenous languages and traditional knowledge between the 9-12 July. No details were immediately available. Note: a third panellist expected from Tanzania was unable to attend the session. Adithi Koushik is a student at the Graduate Institute, Geneva pursuing her Masters in International Law. Adithi Koushik may be reached at info@ip-watch.ch. "Indigenous Knowledge Databases: Is It Something To Be Concerned About?" by Intellectual Property Watch is licensed under a Creative Commons Attribution-NonCommercial-ShareAlike 4.0 International License. I don’t understand how the information industry, including non-profit libraries, can operationalize the idea of “Getting free, prior and informed consent from the community” – who exactly is the community? What if one member of “the community’ wants to give consent and another wants to withhold it? IP requires clear and specific identification of authority to approve/disapprove, and “the community” doesn’t even being to offer that as a serious recommendation for lawmakers. As a librarian, I am concerned that this kind of well-meaning rhetoric is going to result in the same kind of mess that “orphaned works” have caused in the US, resulting in blocking scholarly access to important resources not out of any informed choice by an appropriate stakeholder (which would be a legitimate if sad reason for lack of access) but out of bureaucratic entanglement. El ejército de los Estados Unidos a través de una oficina llamada Foreing Military Studies Office (FMSO), en conjunto con las Universidades de Kansas (EU), Carleton (Canadá) y San Luis Potosí (México), realizaron una investigación en comunidades indígenas de Oaxaca, México sin informar que estaba financiada en parte por esa oficina. Los investigadores convencieron a algunas comunidades y otras no de realizar una supuesta investigación utilizando herramientas de la geografía sobre los impactos del PROCEDE en comunidades indígenas (El PROCEDE es un programa del gobierno mexicano que ha privatizado tierras indígenas para facilitar la entrada de megaproyectos en comunidades indígenas y campesinas de México). Lograron hacer una base de datos de conocimiento tradicional geográfico y de otra naturaleza que está a disposición de la FMSO, sin que las comunidades indígenas tengan algún mecanismo de control sobre el acceso a esa información, la cual quedaría según los investigadores abierta al público. Posteriormente entraron a otras regiones del mundo a tratar de seguir realizando investigaciones de ese tipo con base en el conocimiento metodológico que adquirieron con el Proyecto México Indígena. Esta situación también nos plantea el problema del papel de los investigadores en comunidades indígenas, ya que siguen sacando mucha información de conocimientos tradicionales, sin que las comunidades indígenas tengan plena conciencia de lo que éstos hacen y la información puede ser utilizada incluso en contra de las comunidades estudiadas.